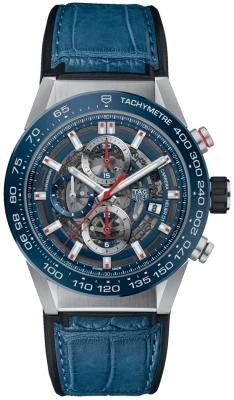 Buy this new Tag Heuer Carrera Caliber Heuer 01 Skeleton 43mm car201t.fc6406 mens watch for the discount price of £3,740.00. UK Retailer. Bezel: Fine brushed & polished blue ceramic bezel with engraved tachymeter scale. Skeletonized with blue & silver rims. 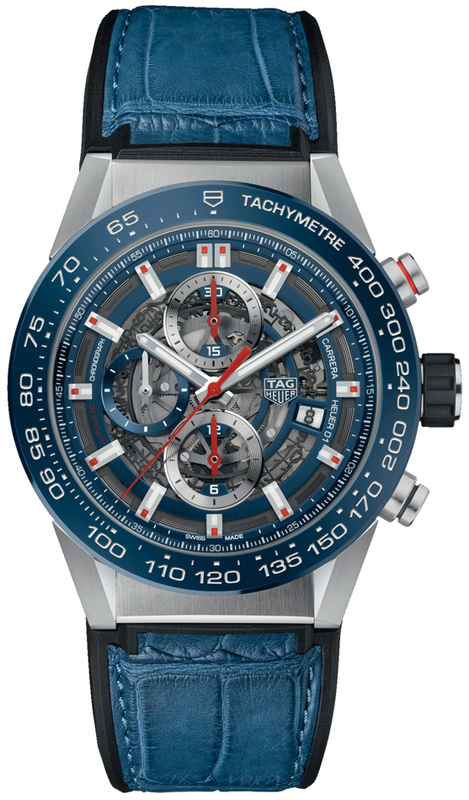 Blue rimmed small seconds sub-dial located at the 9 o'clock position.